This past weekend we were tourists in our own city, and it was the most fun we’ve had in ages! We’ve lived here in Calgary for almost 15 years and haven’t visited some of our most iconic attractions! How does that happen? Well, we’re changing things up and we’re about to get really up close and personal with our city! Fort Calgary is the symbolic heart and hub of the Calgary community. 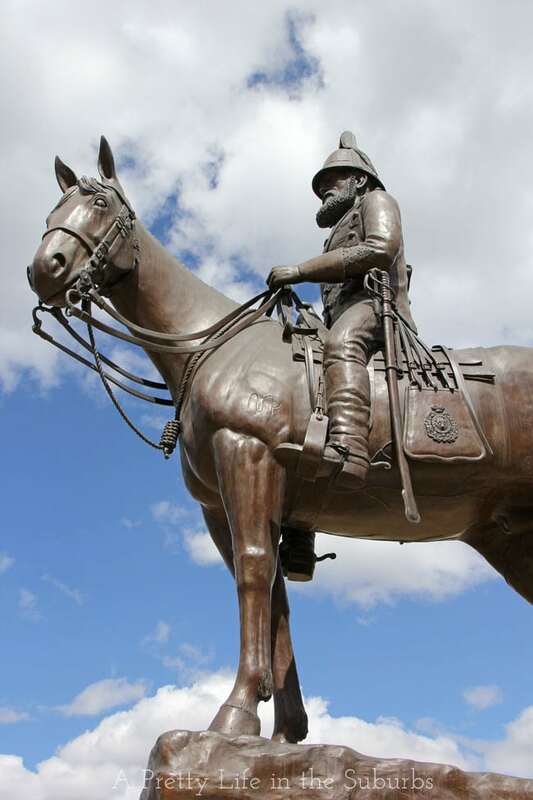 From its majestic and sweeping vantage point in the river valley, Fort Calgary represents the actual genesis of the city that surrounds it today. By visiting Fort Calgary, you have the opportunity to understand, touch and experience the birthplace of Calgary’s character, spirit and deeply enshrined values. And really, it’s just plain beautiful and fun to visit! Come take a tour with us! 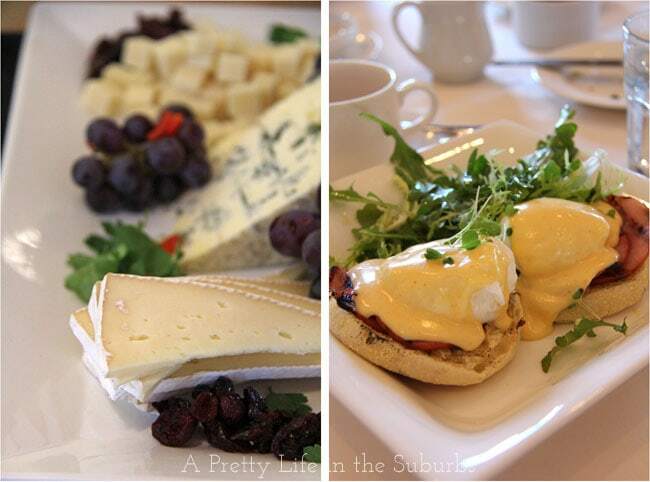 We thought the perfect way to start our visit of Fort Calgary was to first enjoy a gorgeous Sunday brunch. 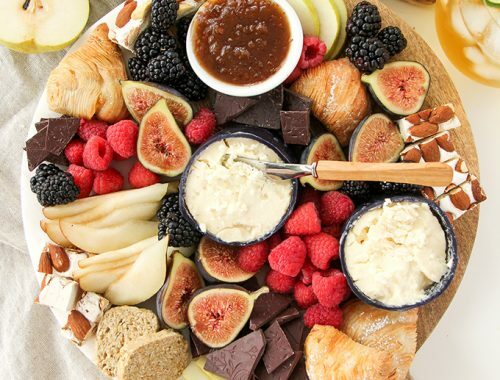 Fort Calgary has recently just started offering a full Sunday brunch with both hot and cold buffet options, and additional menu choices as well. This would be a perfect spot to take Mom for Mother’s Day! You can enjoy everything from tasty salads, assorted cheeses, fresh made-to-order omelettes, eggs benedict, pancakes..and on and on. I was most impressed with their coffee and fresh out-of-the-oven biscuits with butter and jam that arrived at our table as we got seated. Nothing better than starting a brunch off with fresh baking and coffee! YUM. We knew it could only get better from here. 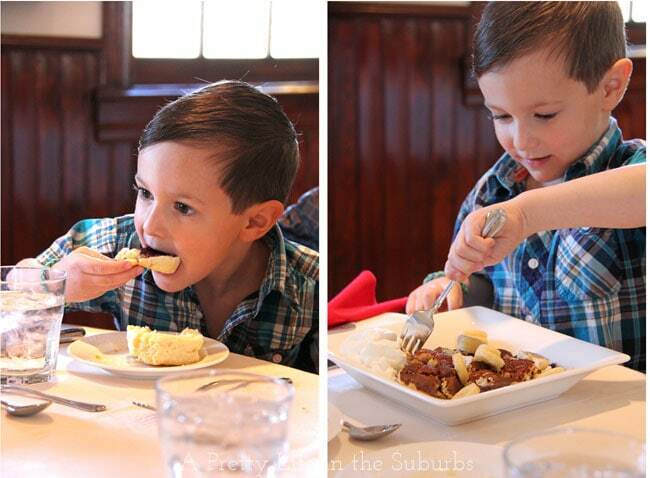 Don’t forget dessert! The dessert spread was impressive. 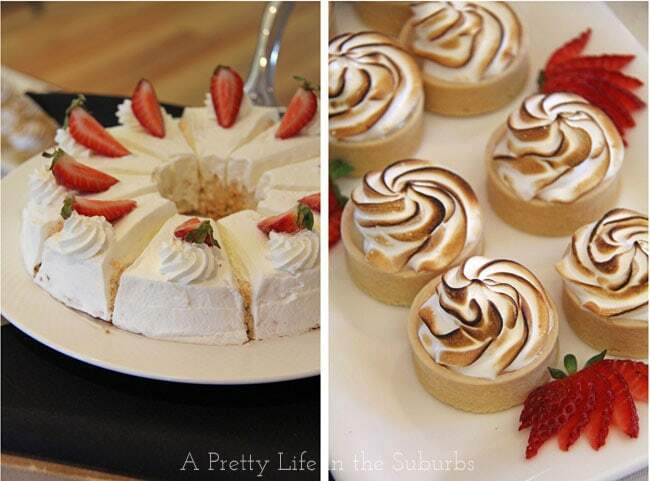 I love loved these lemon meringue tarts! After breakfast we took a tour of the museum, and I was most surprised at how big it is. 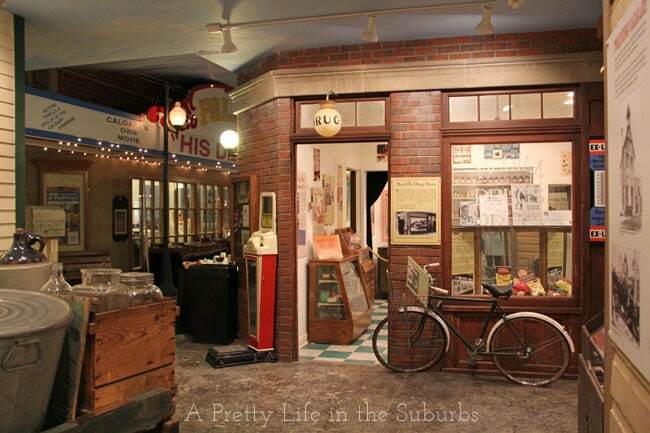 There are so many rooms filled with exhibits rich in history! I really had no idea there was so much to see here. We had some fun trying on red serge tunics – the photos ops were priceless! I even had some fun as you may have seen on Instagram! 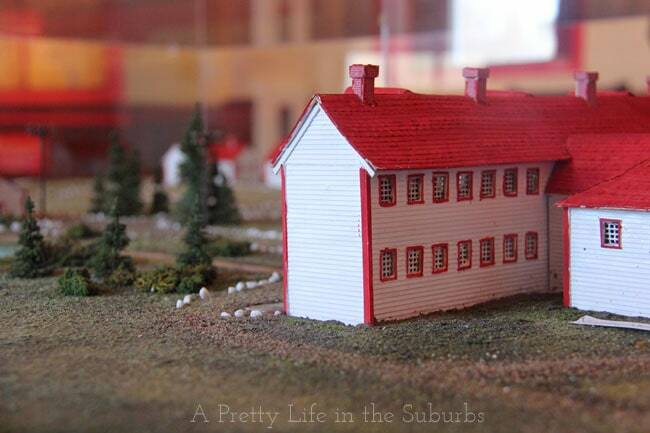 Another must see are the models of the original Fort and the original Fort Calgary Barracks. It’s so interesting to see how big the Fort actually was. My little guy especially loved the models. He was transfixed on all the tiny little houses. Every where you turn there is something to see…there’s even a theatre to visit while you’re there! 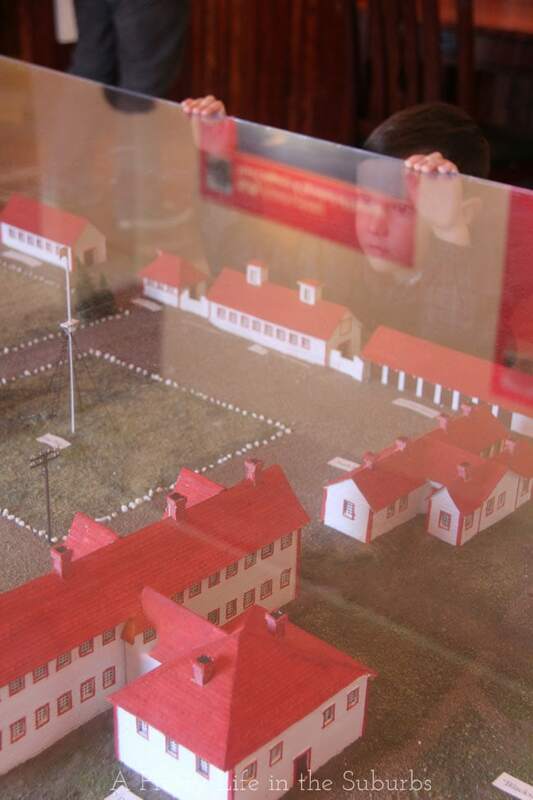 But one of the things we loved most about Fort Calgary was how interactive and kid friendly it is. Almost all of the exhibits have activities for the kids so they get to have a lot of hands on fun while they are learning! The jail was a favourite! Don’t worry, we didn’t leave him there…maybe. 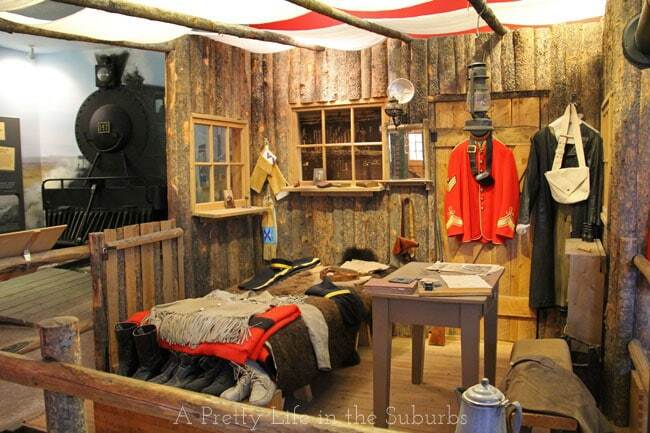 On your way out, don’t forget to visit the Gift Shop for some unique Mountie memorabilia! We can never resist the gift shop! But before you leave, make sure to take a tour around the grounds and have a look at the out buildings, or walk down to the river. We really do live in a spectacular city to be able to enjoy places like this! 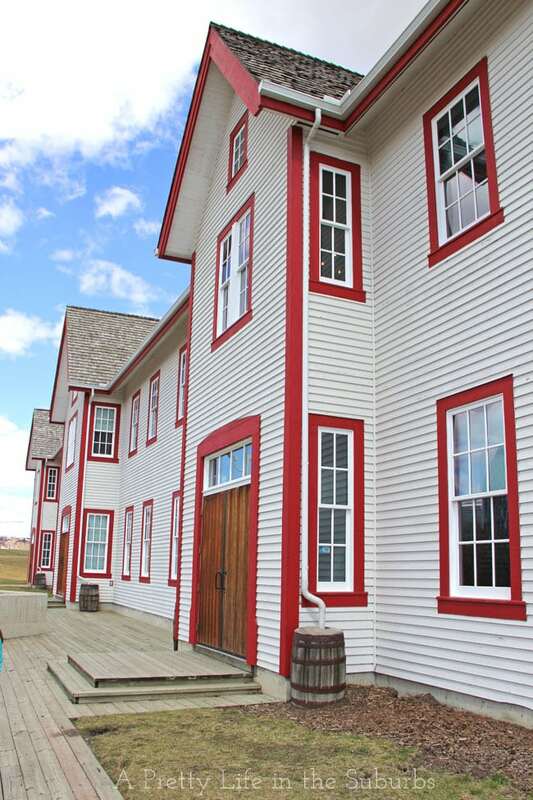 For more information on Fort Calgary visit their website, or follow them on Facebook, Instagram or Twitter! Closed January 1, Good Friday, December 24, 25, 26 and 31. $27 Adults / $15 Kids (5-12). We really enjoyed our time at Fort Calgary, and will definitely be back…especially for brunch! Thanks for having us! 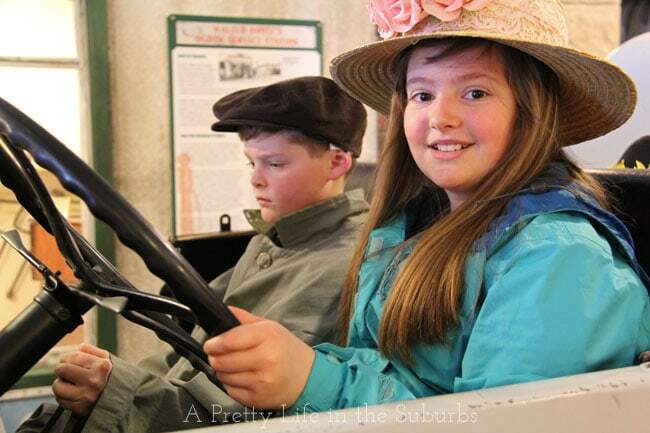 Oh, and make sure to come back here and check out our visits to the Glenbow Museum and Calgary Tower! Disclosure: I am part of the Calgary Hotel Association Blogger Campaign and I receive special perks as part of my affiliation with this campaign. The opinions on this blog are my own. 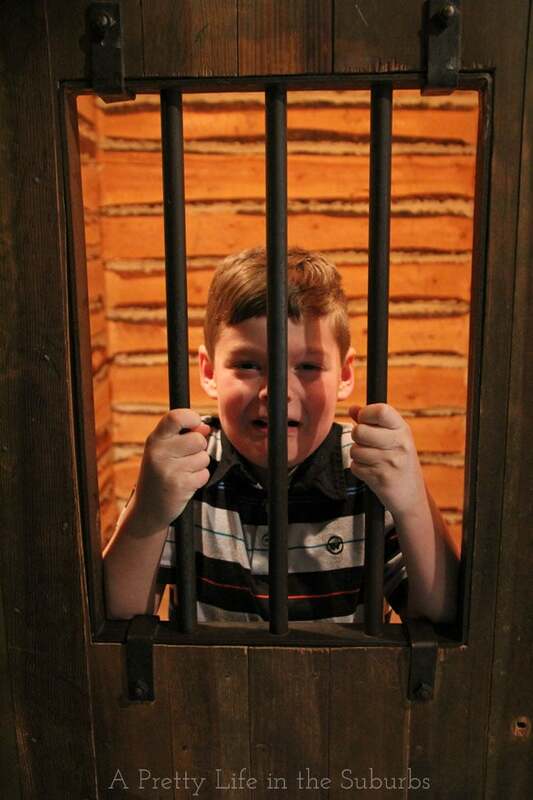 We really, truly had a fantastic day at Fort Calgary! 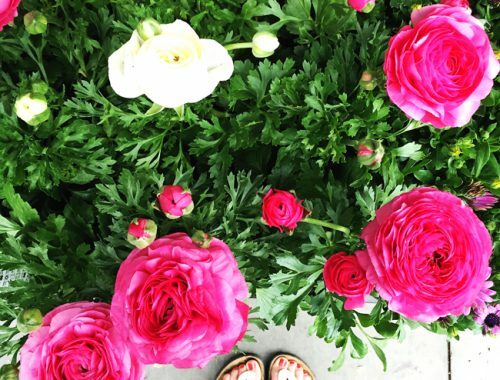 Tips to get your container garden ready for planting! That brunch looks AMAZING! Eggs benny is my fav! Oh mine too – I LOVE eggs benny! It really was a fantastic brunch! This looks like so much fun! And helloooo…. your children are adorable. 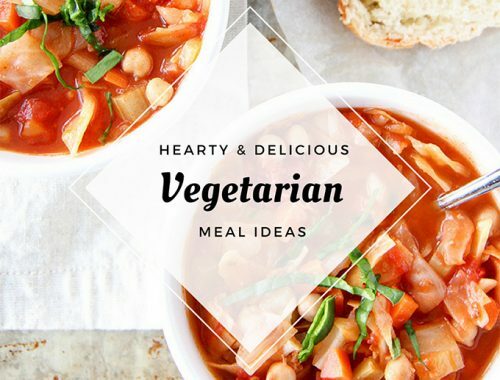 Love that they’re making more appearances on the blog! Thanks Tara! It was a great time! We all loved it! Looks like a fun place to go! We live in the Niagara region of Ontario and we’re gulity too of not checking out all the fun stuff near us. Most of the time we just go to Niagara Falls. I’m planning some fun outings for us this summer. That brunch looks amazing. 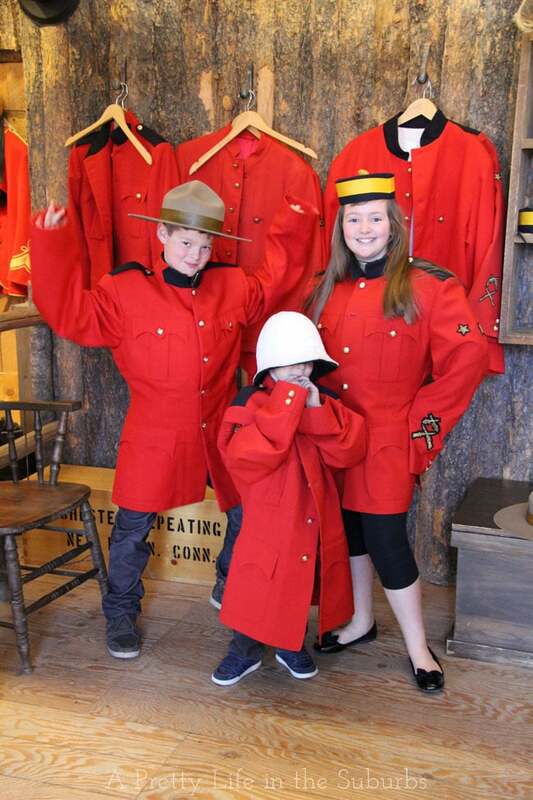 Never been to Fort Calgary, but we may have to add that to our list of things to do when my niece and nephew come and stay this summer!